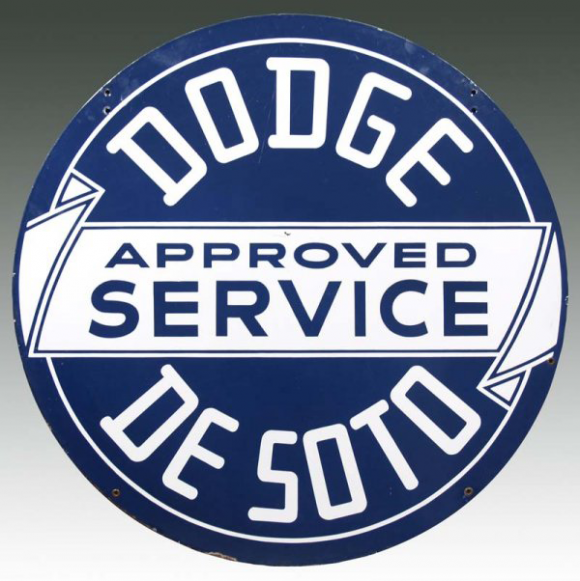 This is a round Dodge De Soto porcelain sign. This particular Dodge De Soto sign is blue and white. It reads, “Dodge De Soto Approved Service” and features a white sash in the middle.